I'm ashamed to admit that last year I never got around to completing my review of The Scotch Bonnets' phenomenally good debut album Live Ya Life (this Baltimore/DC rocksteady-reggae-soul crew released their CD through a successful Kickstarter campaign--and I highly recommend it if you don't already have it). 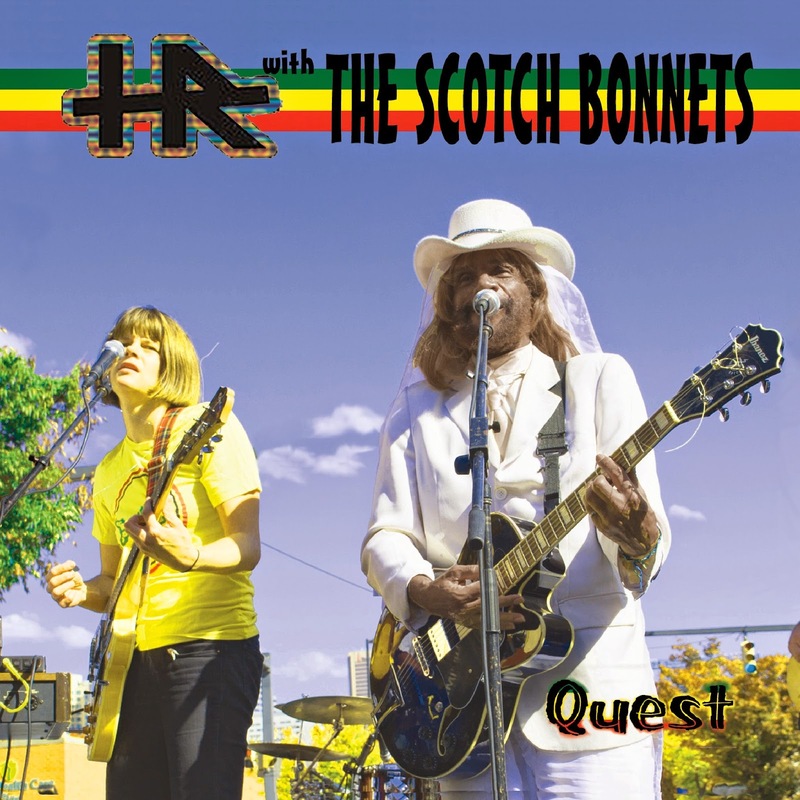 With this in mind, it should be noted that The Scotch Bonnets are releasing Quest, a six-song EP that they recorded with HR of Bad Brains, which will be released on December 2, 2014 by Morphius Records. "From the romping pub ska of "Cheyenne" to the spacey reggae love vibes in "My Universal Love" to "Just A Kid," a rare Bonnets soul-rocker, Quest is an eclectic mix of songs sung by both HR and Lady Hatchet. The EP's title track boasts HR's first recorded boy-girl duet, his avant-garde vocals in juxtaposition with Lady Hatchet's R and B tinged hooks. And what HR session would be complete without a little studio experimentation? 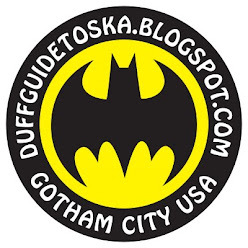 Precisely that can be found on "H.R. Psalm," a mesmerizing HR composition for which he conducted the band as they played along to a previously recorded HR track! The EP boasts three new vocal performances by HR. Two of those songs, the title track "Quest" as well as "My Universal Love" were penned by Pablo Fiasco many years ago. Long guarded as instrumentals, the tracks were finally given to HR to complete during these sessions." Catch them live if you can! 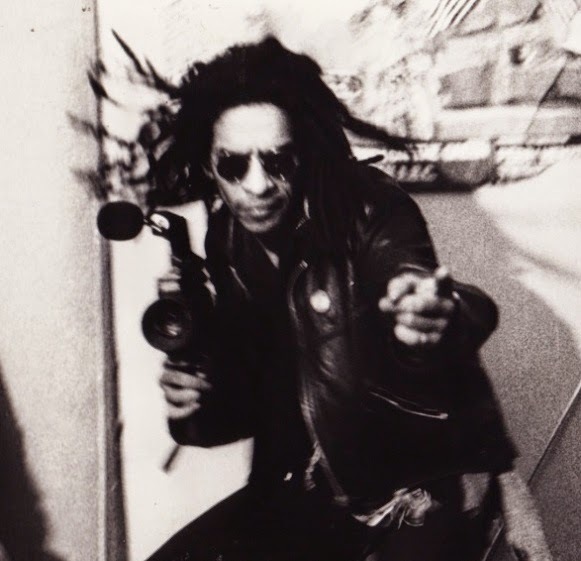 Don Letts with his trusty Super 8! Beat Brigade, Rude Boy George and The Scofflaws! Straight to Hell (Clash Tribute) Celebrating the 35th Anniversary of "London Calling"